We are excited to offer this 2016 BMW 3 Series. BMW CERTIFIED! This BMW includes: M SPORT PACKAGE Tires - Front Performance Aluminum Wheels Tires - Rear Performance NAVIGATION SYSTEM Navigation System Hard Disk Drive Media Storage MP3 Player DRIVER ASSISTANCE PACKAGE Rear Parking Aid Back-Up Camera TECHNOLOGY PACKAGE Navigation System Heads-Up Display Hard Disk Drive Media Storage MP3 Player PREMIUM PACKAGE HD Radio Hands-Free Liftgate Generic Sun/Moonroof Satellite Radio Power Door Locks Keyless Entry Passenger Adjustable Lumbar Sun/Moonroof Driver Adjustable Lumbar Remote Trunk Release LIGHTING PACKAGE COLD WEATHER PACKAGE Heated Rear Seat(s) Heated Steering Wheel Heated Front Seat(s) *Note - For third party subscriptions or services, please contact the dealer for more information. * Only the CARFAX Buyback Guarantee can offer you the comfort of knowing you made the right purchase. 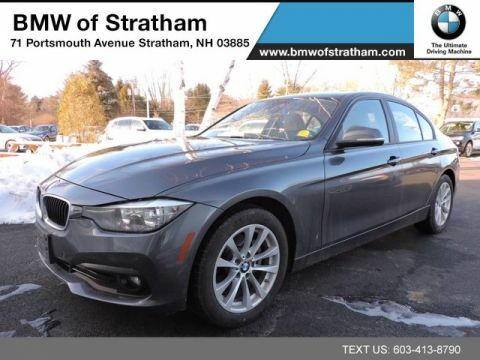 With CARFAX one owner report you can be sure that this BMW 3 Series was only gently owned. 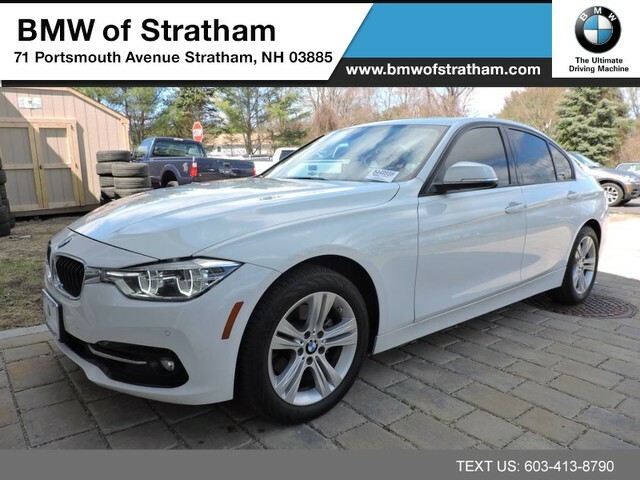 As a Certified Pre-Owned vehicle, this BMW 3 Series 328i xDrive TECH PKG SPORT PKG PREMIUM DRIVER ASSIST LIGHTING PKG offers you the peace of mind because you know it has been rigorously inspected to meet exacting standards. Excellence, luxury and stature are just a few of the pillars this car is built upon. The 2016 BMW offers compelling fuel-efficiency along with great value. 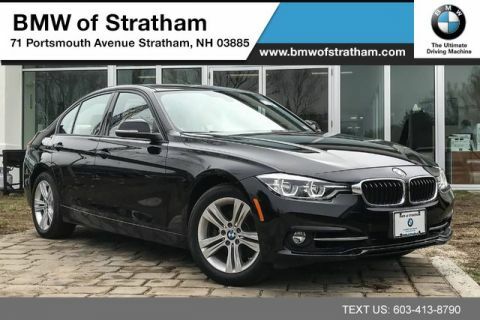 You will no longer feel the need to repeatedly fill up this BMW 3 Series 328i xDrive TECH PKG SPORT PKG PREMIUM DRIVER ASSIST LIGHTING PKG's gas tank, in part because of it's superb EPA rating. Savor the satisfaction of safety in any condition with this AWD BMW 3 Series. Superior acceleration, unmatched traction and stability as well as a luxurious interior round out the impressive features of this AWD BMW 3 Series. A BMW with as few miles as this one is a rare find. This 3 Series 328i xDrive TECH PKG SPORT PKG PREMIUM DRIVER ASSIST LIGHTING PKG was gently driven and it shows. Performance, ease of use and efficiency are just a few reasons you'll love the navigation system that comes with this car. 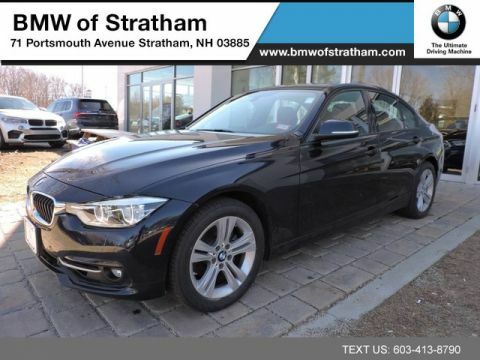 Enjoy the comfort of knowing this BMW 3 Series comes equipped with a manufacturer's warranty. This BMW 3 Series 328i xDrive TECH PKG SPORT PKG PREMIUM DRIVER ASSIST LIGHTING PKG comes standard with features that are essential in the 21st Century. However, BMW decided to take it one step further and add a handful of quintessential options that will undoubtedly add to this vehicle's quality and value. We look forward to seeing you soon! Please call us for more information.